The Hiro Murai directed video for Donald Glover’s “This Is America” is already one of the most iconic moments of 2018. Upon release, “This Is America” turned into think-piece mine with analysts offering several interpretations and picking out the most seemingly insignificant detail for meaning. One debate questioned if such a serious message should be treated so whimsically, others speculated it may encourage trolls, and generate material for memes. As if on cue, Falz who practically grew his fan base off the memes and funny videos, has released his rendition of Donald Glover’s montage titled, “This is Nigeria”. 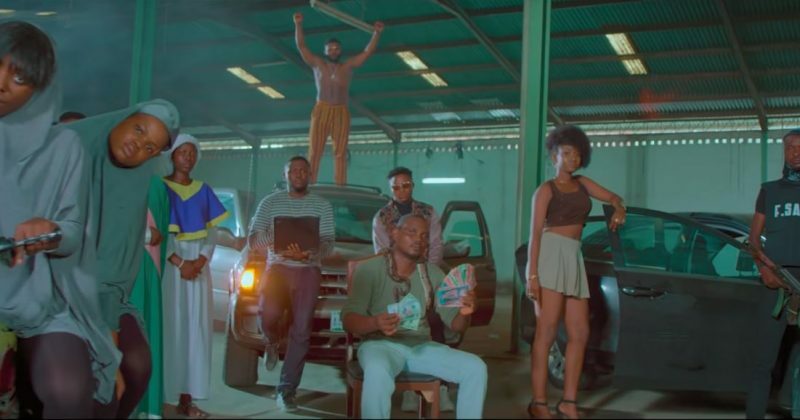 With his latest video, Falz uses the same interchange of cameras and scenery as Childish Gambino to run through a range of issues that affect the everyday Nigerian. Falz’s most important creative tweak from the source material is background commentary that emboldens the images we see throughout the four-minute runtime of the video. The manoeuvre pays off for “This Is Nigeria”, allowing director Prodigeezy, to ignore the subtleties that made “This Is America” so poignant, for a more direct but empathetic depiction of tribe relations, the normalisation of terrorism, insecurity and other issues that make every other front page. However, this convenient plot trope also seems to narrow the field of vision for the message at the core of “This Is Nigeria”. The most graphic example of this tone-deafness happens in the first few seconds of the video where a Fulani man playing his goje and seemingly having a good day, turns to behead another man in the next scene. It’s a tough pill to swallow for all the right and wrong reasons: On one end of the scale, it’s the first ever mainstream media representation of the herdsman violence, on the other, it manages to brandish a people as a murderous ethnic group. The misinformation becomes more obvious when a little research uncovers that though violent attacks on other tribes in the North is often linked with ethnic-patriotism, many Northerners who work menial jobs in the West of Nigeria, also fled from violence by Boko Haram-affiliated terrorist cells often purported as herdsmen by the media. Focusing on societal issues—like the glorification of internet fraud culture— has put Falz under fire before. The rapper wants to be seen as the guy who speaks on societal issues, but given his privileged upbringing, the public is often quick to question his moral position, with the pretext he can’t actually relate with the things he speaks of. If Falz learned anything from the feedback that followed his attempt to call out the yahoo-yahoo boys, it should be the importance of context and the different angles to every story. Even worse, compared to “This Is America” that closes with a black man with lividly terrified eyes, running slow-mo, away from all the dangers out to get him, Falz offers no respite for all the bleakness. “This is Nigeria” may be entertaining as an adequate conversation starter presented in an amusing manner, but ultimately it muddles up details and doesn’t plot any path forward. But while it’s easy to begrudge Falz for taking on Nigeria’s socio-political climate with humour and levity, it’s also the greatest reflection of a political apathy that is perhaps the truest mark of a Nigerian. Would it even be Nigerian if it wasn’t passive enough to reflect this basic Nigerian trait? For fear of dehumanizing the pain and oppression, no one gets a free pass to reinforce stereotypes that have formed painful memories for many, but it’s a fair reflection of a country where kidnappings are starting to feel like a state-sanctioned sport. This is Nigeria afterall.